Exquisite, fresh carol settings are woven together with scripture lessons and poetic narration to create a refreshing celebration of Advent and Christmas. Howard Helvey's artistry shines in each rich arrangement. Optional congregational readings and singing are included as well, to complete the presentation. The work is as singable as it is effective and inspiring, and will usher in the season of rejoicing with joy and festivity. 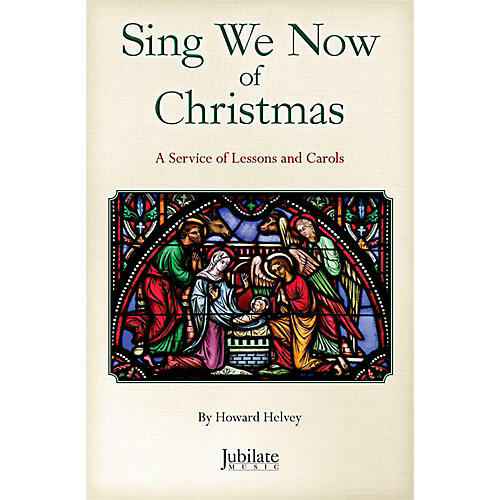 Create a celebration of the Incarnation with Sing We Now of Christmas. Performance time is 30 minutes if it is performed only with narration (and no lessons and additional congregational carols). If performed with the scripture lessons and congregational carols, performance time is 55 minutes.